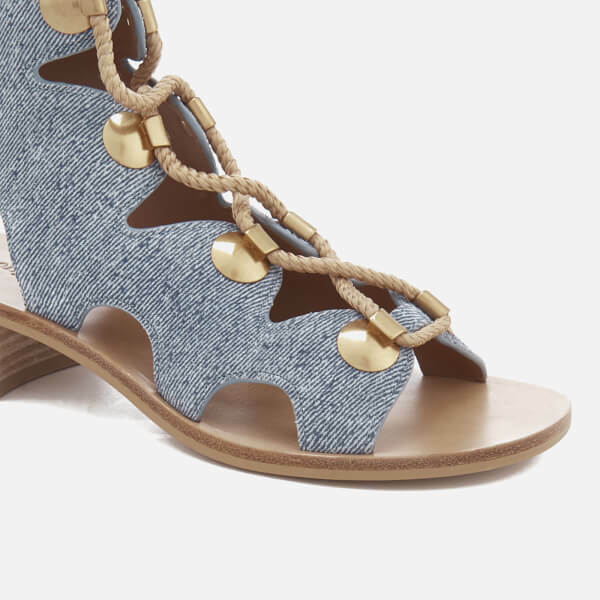 Women’s denim lace-up sandals from See by Chloé. 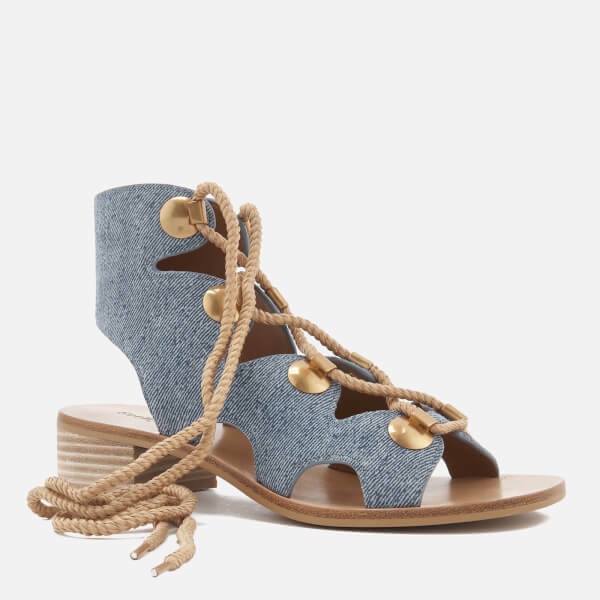 Constructed from suede calfskin in a blue denim design, the gladiator-style sandals feature a crisscross lace-up front, oversized decorative bombé lace loops with brass galvanisation and synthetic durable laces that weave through the loops and around the ankle cuffs. Set on a stacked calfskin heel with a rubber overlay for optimal grip. 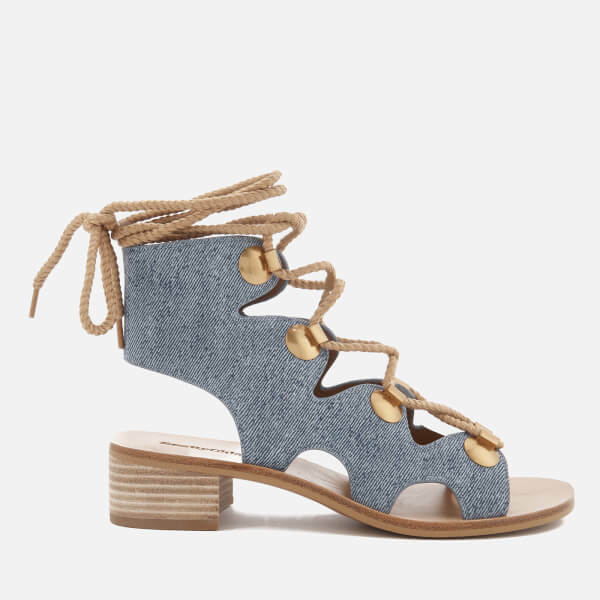 Upper: Suede Calfskin. 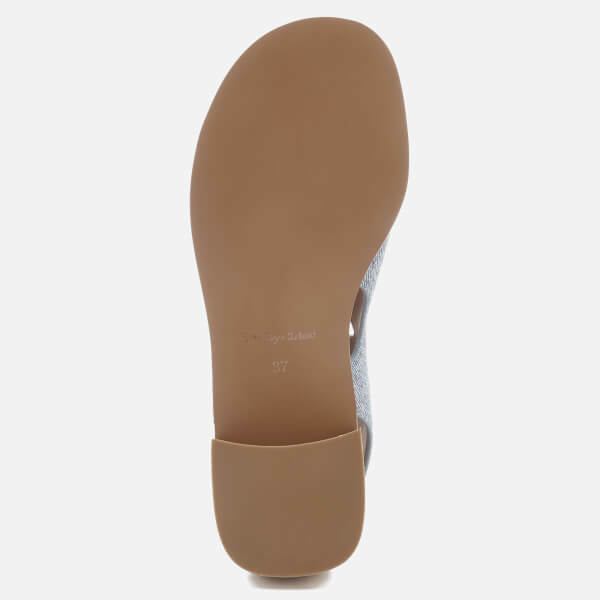 Insole: Leather. Lining / Heel: Calfskin. Outsole: Rubber.